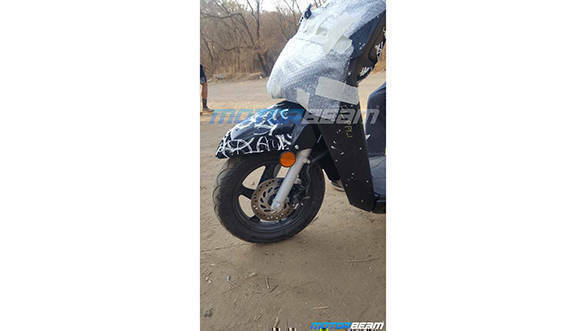 The next generation Honda Activa has been spotted on test. 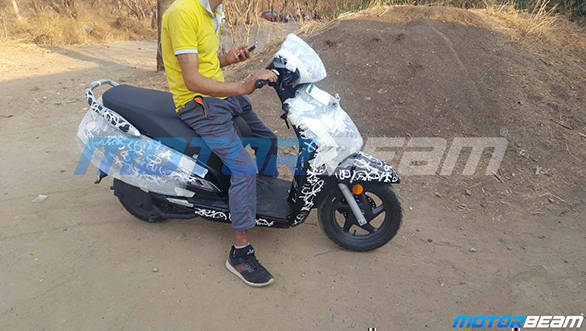 The upcoming automatic scooter could be dubbed the Activa 6G and hosts cosmetic as well as mechanical changes. The 2019 Honda Activa 6G scooter will sport a newly designed LED headlamp assembly and restyle body panels. The 6G could sport a new set of DRLs. On the mechanical front, the upcoming scooter will have telescopic suspensions and a disc brake assembly in the front. The rear will continue to have a drum brake assembly. We expect the new scooter to be equipped with CBS (combined braking system) to make it compliant with the safety norms. 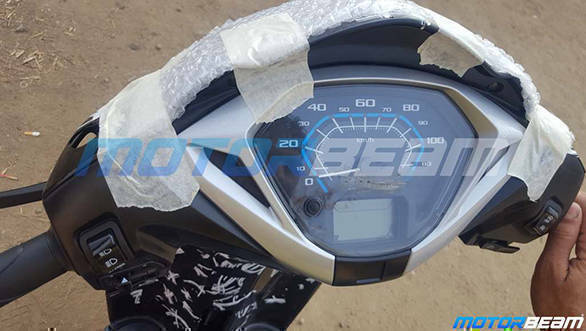 The instrument cluster is also expected to be redesigned and with the new suspension in the front, the rider triangle is expected to be minorly tweaked. Features such as four-in-one lock mechanism are expected to carry forward in the new motorcycle. The current Honda Activa 5G is powered by a 110cc air-cooled engine which produces 8PS and 9Nm of torque. The upcoming Activa 6G is expected to produce the same power figures, however, the new engine is expected to be revised to meet the upcoming emission regulations. The launch of the next generation Honda Activa could be slated upcoming the next festive season. Post it launch, the scooter will compete against the TVS Jupiter, Yamaha Fascino and the Hero Maestro Edge. The current generation of the Honda Activa is priced at Rs 55,000 ex-showroom Mumbai, the new scooter will be dearer to its customers by Rs 5,000 more.